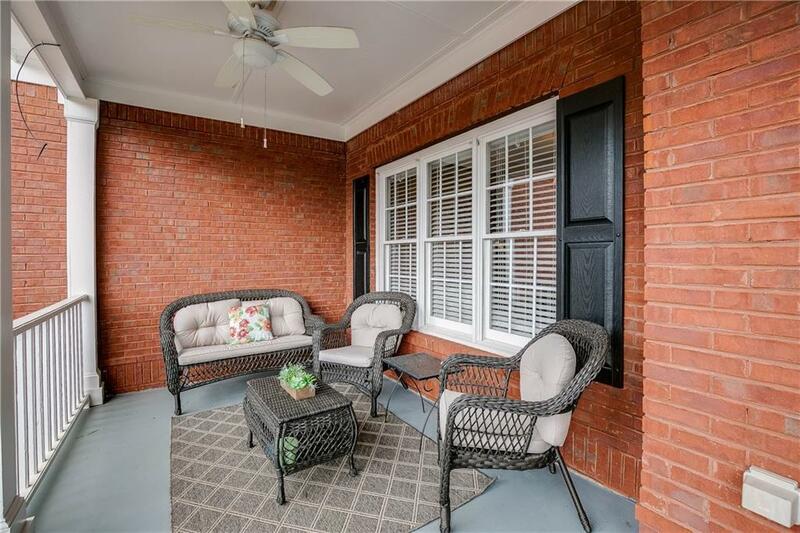 Brick front beauty in new Cherokee Bluff Schools! 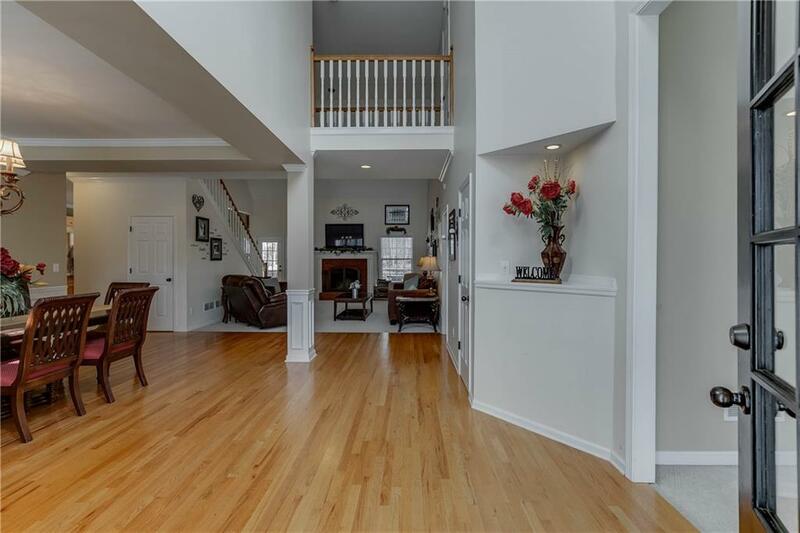 Two-story foyer with wood floors in dining room and kitchen. 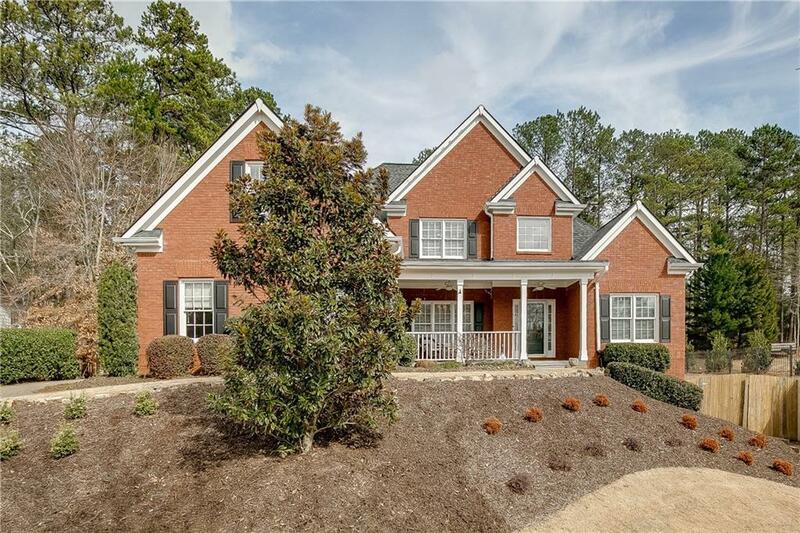 MASTER ON THE MAIN with big bay window and trey ceilings. Master bath ft. double vanity, large closet, and whirlpool tub. 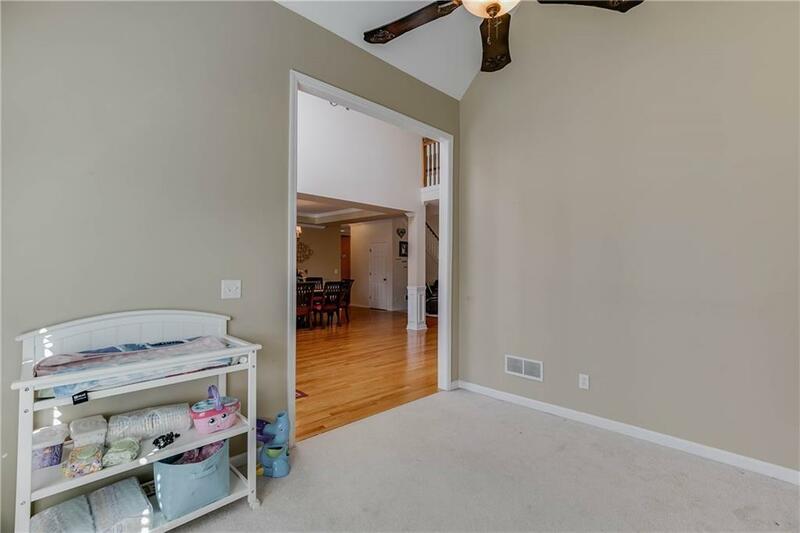 Two-story family room features vaulted ceiling and brick fireplace. Spacious upstairs bedrooms. Additional finished room and full bath in the basement. Perfect for office or playroom. Large basement workshop with garage door opens to gated side driveway. RVs and boats allowed! Backyard is huge and flat-beautifully landscaped with a pond.